How do you build an online retail platform that mirrors the department store shopping experience? Branded Storefronts: The ecommerce framework creates a new platform for each brand to tell its story. Product Bundles: The new framework facilitates cross-sell within the Heritage portfolio. Customer Profiles: The site enables PVH to collect and own data about their customers to inform product design, development and distribution. 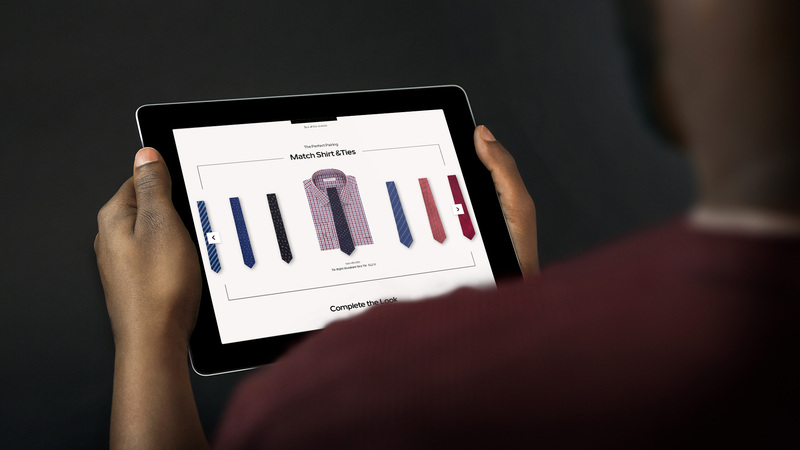 Matching Made Easy: UX enhancements like the tie tool streamlines the shopping process. PVH has historically depended on retail partners to sell to consumers across their heritage portfolio, which includes brands like Van Heusen and IZOD. The existing supply-side retail model gives PVH limited control over how their brands are marketed, and how products are merchandised at point of sale. Without an ecommerce channel to sell directly to consumers online, PVH also had very little customer data to inform an understanding of the purchase habits and fashion needs of their diverse audience. 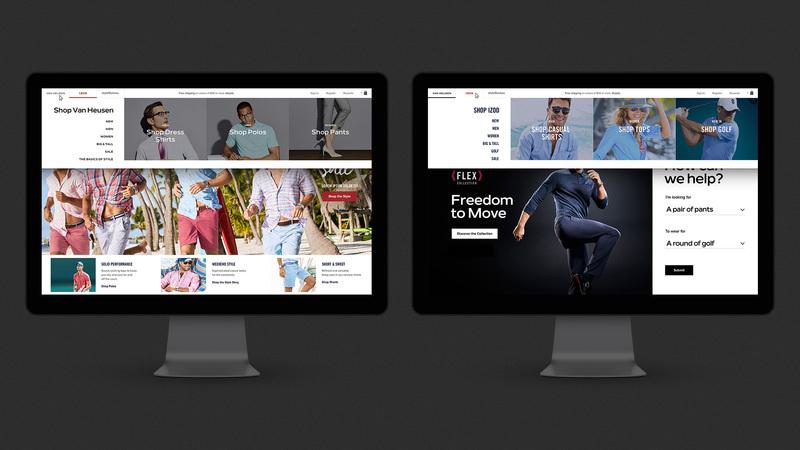 PVH tasked Firstborn to design a brand new scalable, modular ecommerce framework that would be deployed across its Van Heusen and IZOD brands. Each brand has its own digital ‘storefront’-style homepage, conveying their unique story and aesthetic. Meanwhile, product listing pages are integrated allowing customers to seamlessly shop the entire PVH portfolio regardless of which brand ‘storefront’ they entered from, mirroring the department store experience that PVH customers are familiar with. We built innovative UX elements including visual filters to help shoppers find the right style and fit, and interactive product pairing to recreate the convenience of shopping in-store. For example, we designed a tie match tool, which allows customers to virtually pair ties to shirts, streamlining the process of finding the best match. Our modular design approach ensures that each brand can articulate its own voice and aesthetic, and quickly stand up new campaigns and promotions. Meanwhile, the ecommerce framework is designed to be scalable so that PVH can instantly stand up new retail channels for their diverse portfolio, with Tommy Hilfiger, Calvin Klein, and the new Style Bureau division already on the roadmap for 2018. By creating an online retail platform that mirrors the department store shopping experience, we enabled customers to shop their favorite brands and find all of their fashion needs without leaving one centralized PVH commerce site. 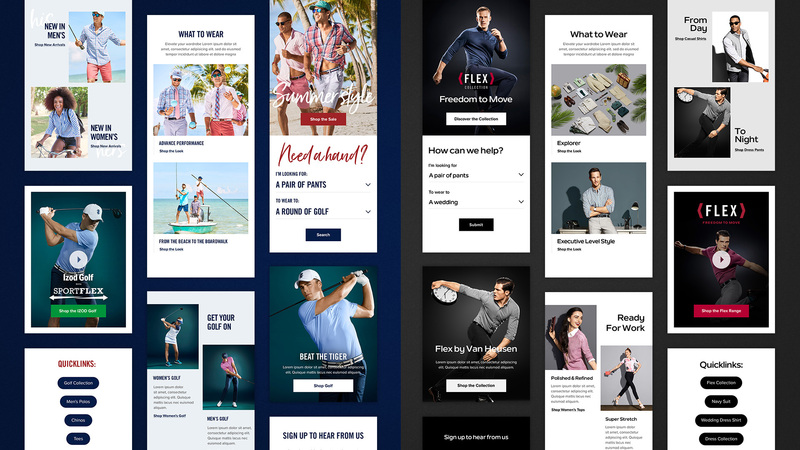 Interactive elements such as the tie match tool provide value for a fashion-conscious audience, and serve as a smart bundling tactic, driving revenue from upsells across the portfolio. Providing a first direct-to-consumer sales channel also gives PVH control over how their brands are marketed and their products are merchandised, creating a new source of data to improve understanding of their diverse audiences. The new site contributed to an 8% YoY growth in wholesale revenue for PVH’s Heritage Brands business, which offset a 1% in-store sales decline.